From arcades back in the day to passing around an Oculus headset, the best part about all kinds of video games is that they bring people together. And Chicago’s Bit Bash does just that. 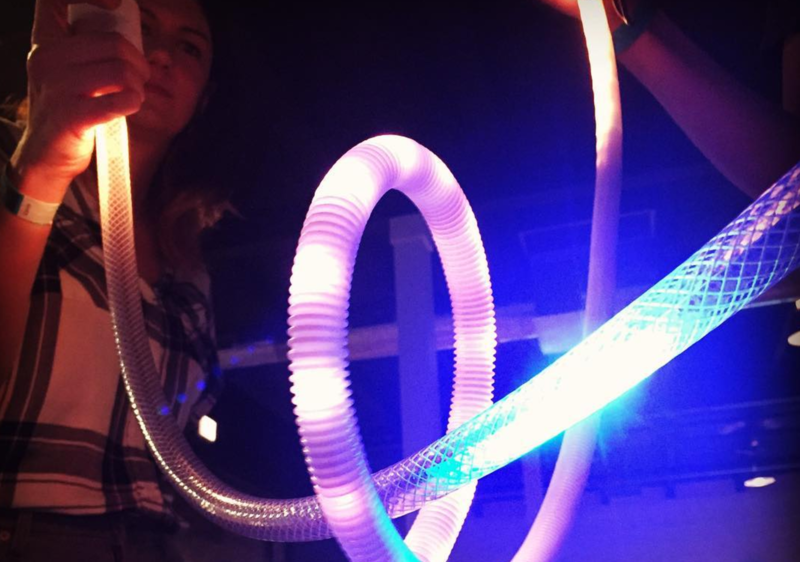 This indie gaming fest provides a space where people can game together and discover new independent and experimental games like a modern, alternative arcade. 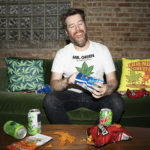 Through pop-ups and a giant annual event (which was at the old Threadless HQ twice! ), Bit Bash features super cool indie games from fan favorites, to recent releases, to the games that are ‘coming soon’ or are still in the testing phase. We checked out Bit Bash this year for games, good times, and for the mac and cheese food truck they had on site. Because what more do you need in life than video games and fancy mac? Here are 9 games we played at Bit Bash that we totally geeked out about! 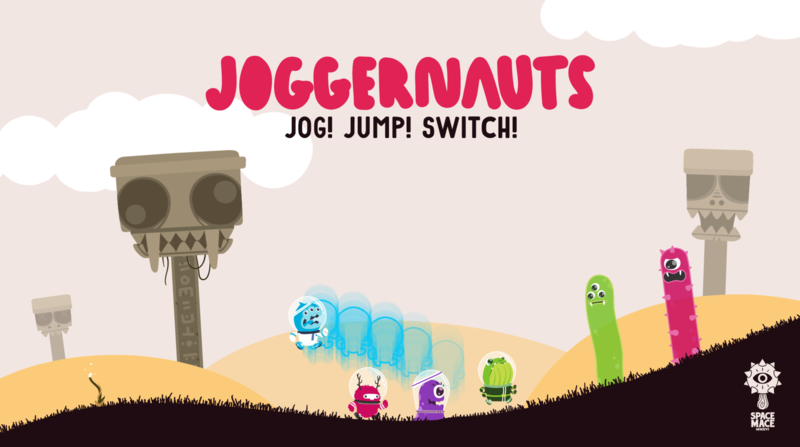 Joggernauts is a cooperative party game where the goal – as it should be in social situations – is to not kill your friends…which results in a lot of frustratedly yelling colors at your friends. 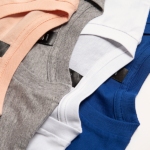 You take turns leading your (adorable) team through color-coded levels, needing to switch and match the joggernaut at the front of the team to the color of whatever alien, bridge, or obstacle lies ahead. Don’t let the cute, aesthetically pleasing graphics fool you; the Minneapolis-based Space Mace LLC has created a game that’s as fun as it is difficult. Release date is set at spring 2018. Between my own personal love for puns and Lucha Underground, this game was a dang joy. 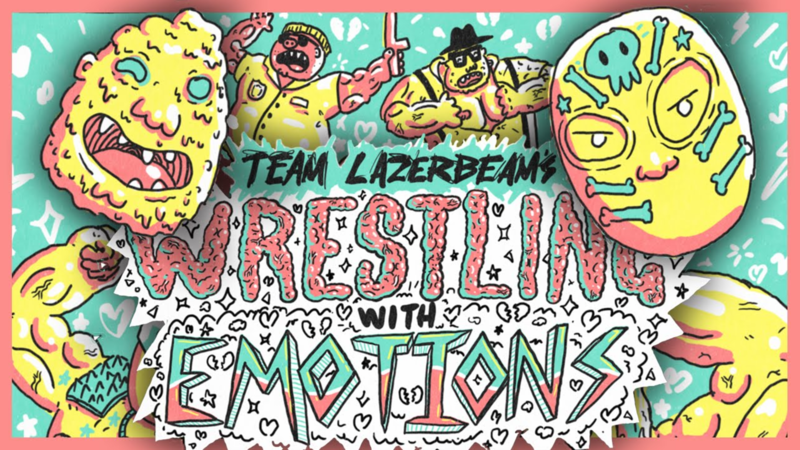 Wrestling with Emotions is a speed dating and wrestling parody by Team Lazer Beam that has you playing a customized wrestler looking for their perfect opponent ‘match’. Just like real speed-dating, you get a few minutes to talk to potential wrestling partners, then before the next one comes by you take notes on what you thought about them. With an art style that looks a little like Captain Underpants meets awesome notebook doodles, this game is a joy aesthetically and at times hilariously uncomfortable in its innuendos. Making its debut at Bit Bash, Light Pong is exactly what it sounds like; a trippy take on the classic Pong that’s equal parts modern revamp and classic throwback to a simpler time in the video gaming world. Each player has a button that sends a light to their opponent like the dot in Pong. You have to hit the button and send the light back to the other player when it gets within a yellow-lit area on your side of the tube. And with the light increasing speed with each hit, this game is deceptively hard. I played in a tournament for this game…I lost in round one. And I would totally do it again. Do you like the idea of horror games but are too scared to play horror games? Well good news; Cozy Game Pals has made the game for you! 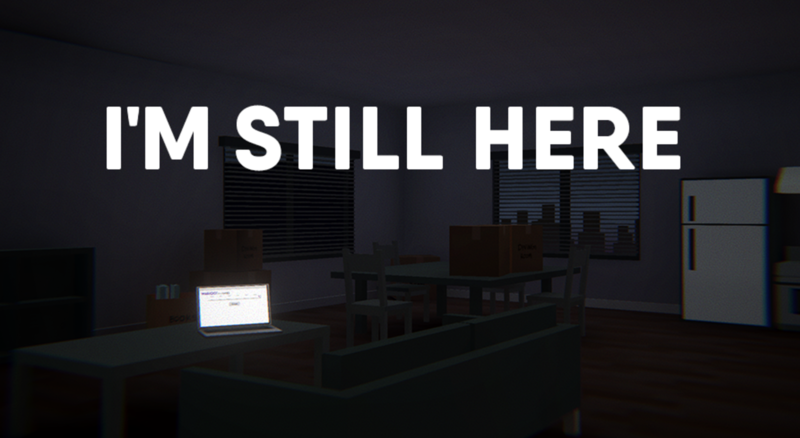 I’m Still Here starts as many ghost stories or episodes of A Haunting do: with you moving into a new place…and finding out you’re not alone. This game has a hilarious twist at the end that you just need to experience to appreciate – trust me, you won’t regret it. It’s a super quick game and totally worth it. Want some serious creature-escaping-captivity justice? Gabe Cuzzillo’s Ape Out is a beautifully designed game and more frustratingly challenging than its ‘simple’ layout and visuals would suggest. The goal is to escape the facility – which is like a giant maze – by any (gory) means necessary. The vibrant and stylized graphics are gorgeous and pull you right in, as does the music. New this summer, this game will get you completely hooked. My favorite description of Finji’s Overland comes from PC Gamer writer Tim Clark, who describes it as a game that’s “as mean as it is beautiful”. You’re driving across post-apocalyptic North America where big insectoid creatures have taken over. You can team up with other people or dogs (personally, I’d be too afraid to team up with a dog lest it end the same way Marley and Me or Old Yeller did). 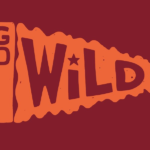 The game is all about survival-based decision making in everything from fights with the bug creatures to how far you can get on a tank of gas. If it weren’t for the stunning graphics of this game reminiscent of those in Virginia and Firewatch, this game might be The Walking Dead levels of devastating. 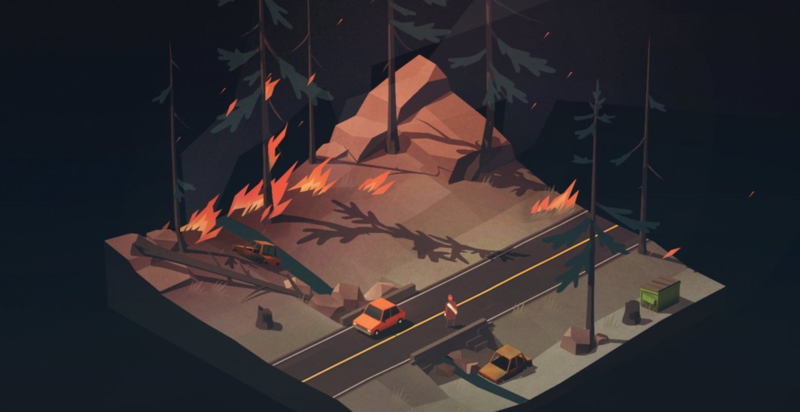 Overland isn’t finished, but you can be a part of the First Access alpha program. This game is exactly what it sounds like – in Everything, you can become anything; from an atom, to a tree, to a turtle, to a whole island. You can play the game as one thing the entire time, or switch to being something else. 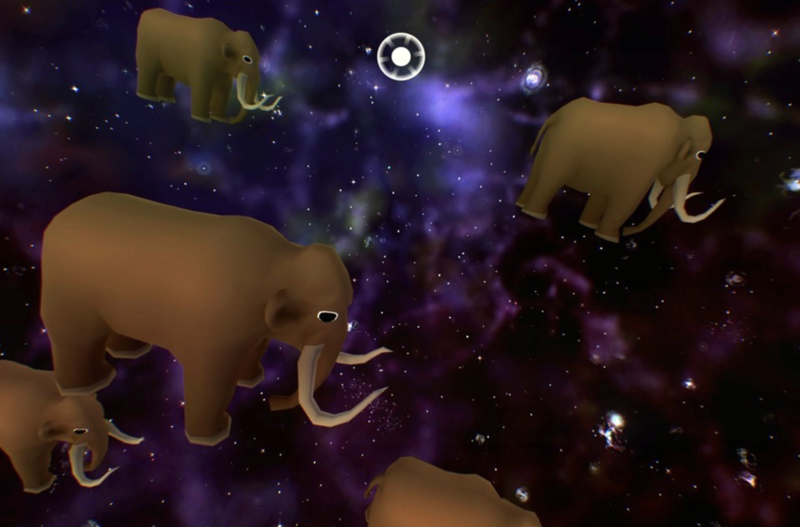 This game is equal parts ridiculous and kind of heavily existential as you think about the true interconnectedness of all things…but also, the movements the animals make is really funny, so there’s that. Fun fact: the creator, David OReilly, actually did the animated video game parts of the movie Her. This game is all at once beautiful, introspective, serene, and existentially scary as all hell. In George Batchelor’s Far From Noise, you’re a 20-something year old woman who has lost control of her car, and it’s now teetering on the edge of a cliff. After a little while, a talking deer walks up to your car (yup) and you share a super deep and philosophical conversation with it. This game is purely based on the conversation about life, mortality, and and making choices within it. 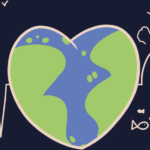 Posted in Blog, Fun Stuff and tagged Bit Bash, Indie game development, Indie Games. Bookmark the permalink.